Love getting creative with the kids, but hate the cleanup? 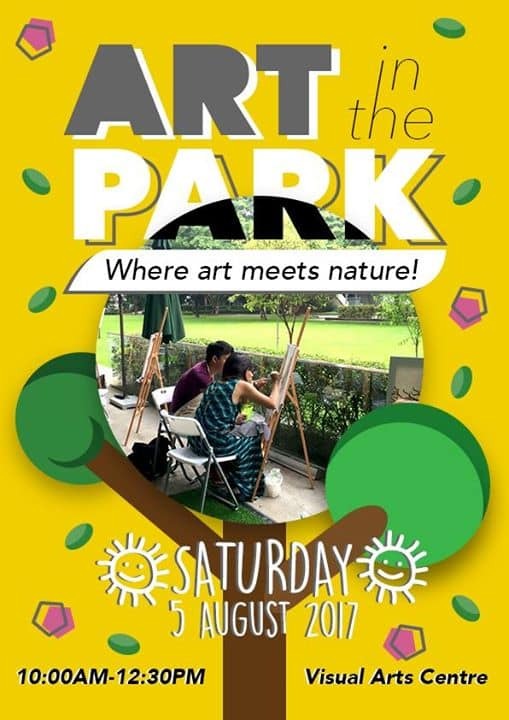 Come join us on 5th August, 10am – 12.30pm for relaxing painting experience with your loved ones amidst the luscious greenery that is the Dhoby Ghaut Green! Ticket prices start from $48. All materials including paint, paintbrushes and canvas will be provided. Additional materials require additional cost. Please email us at info@visualartscentre.sg or call us at 6225 0711 for more details. Visual Arts Centre – Art Studio is a professional art school offering a variety of professional art courses, tailored to your level of experience and requirements. Art courses and workshops are conducted by professional artists and follow an academic art teaching structure. Following a rigorous curriculum, students will acquire the skills and techniques of drawing and painting, and be able to compose their own masterpiece to bring home in a relatively short period of time. Besides providing art instruction and demonstration, our professional art trainers focus on guiding students to achieve their personal artistic goals and art style.